A multi-action powder, Keratex Mud Shield Powder disinfects and waterproofs legs, promoting a thick, resilient and silky coat that is highly mud resistent. 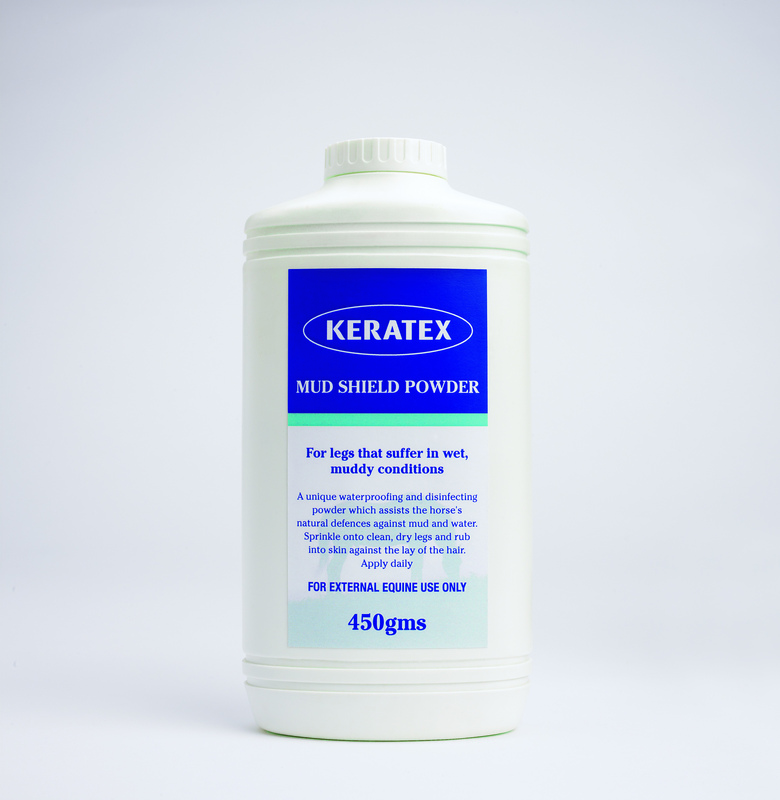 Creating a water and germ repellent coating, Keratex Mud Shield Powder is ideal for horses prone to complications associated with dampness or mud exposure. In an easy and simple to use bottle, the powder is clean and no mess and is suitable for use on legs, pasterns and fetlocks. Providing year round protection, use with Keratex Hoof Wash for total peace of mind. Below are some recent questions we've received regarding Keratex Mud Shield Powder for Horses, including answers from our team. You can use this during the healing process as it will help, and then continue to use it all year round as a preventative.